Maggie and I are proud to be associated with this exhibition which opens tomorrow night at Gasworks. 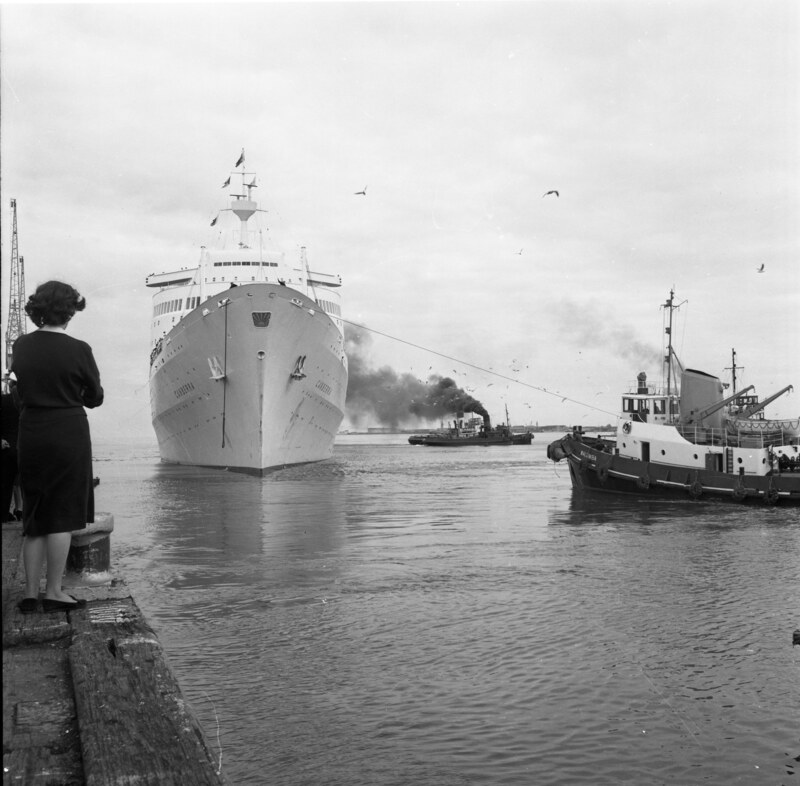 We met with Mia Jevic, photographer and organiser of the event at Graze on Grey last week and handed her a framed Artist’s proof of ‘Coming or Going’ – self portrait at Station Pier, Port Melbourne 1960s. It seemed a very appropriate image somehow! Works will be for sale at the event, which will feature local and indigenous artists. The ‘Healing the Bay’ exhibition is an initiative of The Planetary Healing Artists Association of Australia. 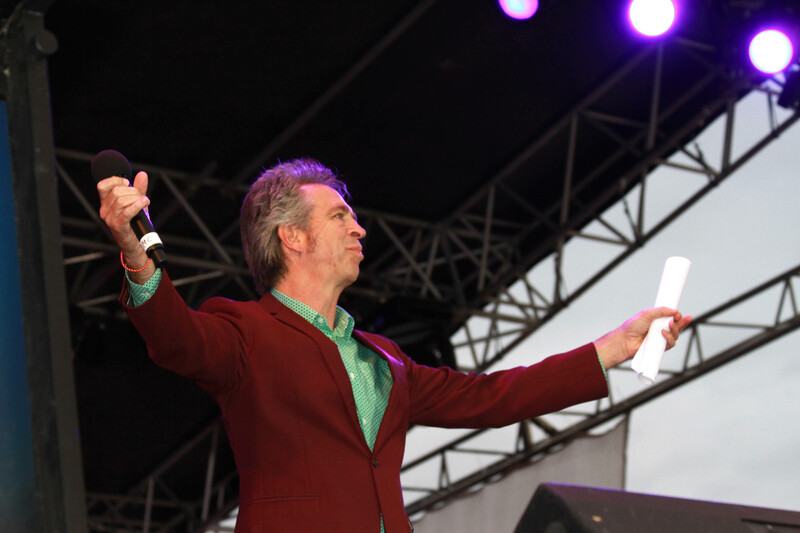 We continue to celebrate Maggie’s latest exhibition at Graze on Grey with our Table for 18 events and we’re honoured to have Mr Brian Nankervis as our next special guest. If you haven’t had a chance to check out ‘On Sacred Ground’ you can have a great night out and catch the exhibition. $100 per head includes a 3 course dinner with complimentary French bubbles on arrival. Places are limited, so go to http://www.trybooking.com/CIXD or search Trybooking with name of event. 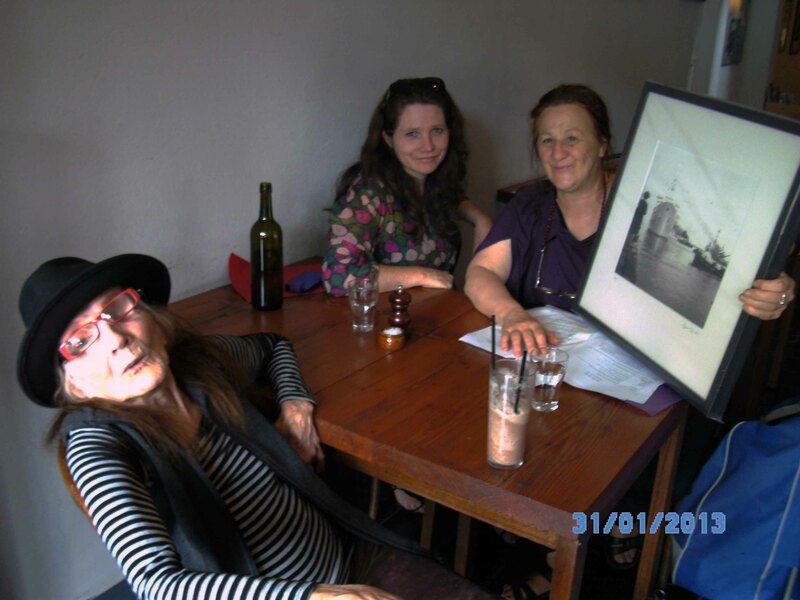 TABLE FOR 18 IS SPONSORED BY MAGGIEDIAZ.COM and 5% of our print sales go to Sacred Heart Mission – The Heart of St Kilda. 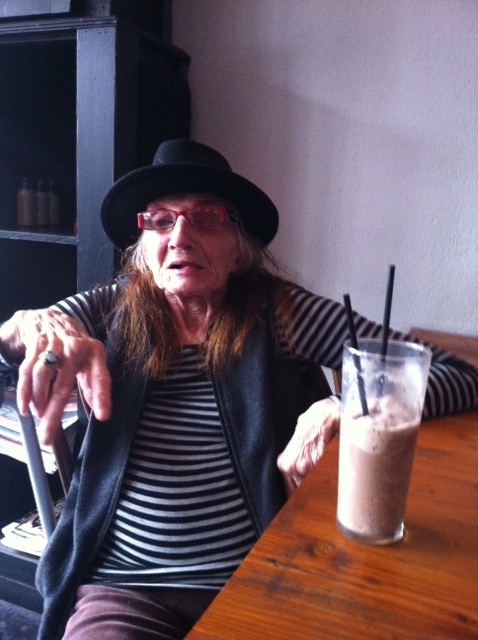 Maggie enjoying an iced chocolate at Graze on Grey last week.